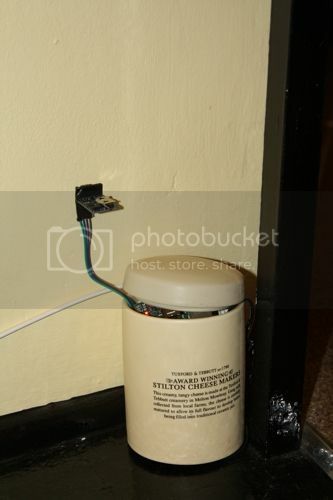 Not that long ago I wrote about planning to set up a basic Raspberry Pi-controlled central heating system. A few components later, and the relatively simple proof of concept is complete. This post is a summary of what I’ve done and learned, in case I forget it all next week. Okay, so it’s obvious but I have to say it: messing around with mains electricity is dangerous and you could end up getting a pretty big shock (literally). If you don’t know what you’re doing and don’t fancy killing yourself (and potentially other people), get someone else to do it! Everything here is provided without any kind of assurance that it will work for you. Basically, don’t blame me if you do something that gets someone electrocuted or causes your house to burn down. You have been warned (I do enjoy a bit of melodrama)! The use case for our automatic heating system is a little different to normal. 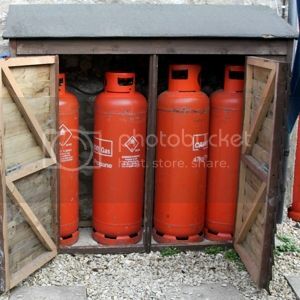 We have the pleasure of having 4 LPG bottles fuelling a Worcester 24CDi combi-boiler. This is controlled by a thermostat mounted in the hallway by the front door as well as a simple programmer located just by the boiler. The programmer is in-line with the main power supply to the boiler, so outside of the programmed heating times there is also no hot water. The thermostat (thankfully) just controls the heating. As we’re entering winter and it’s pretty cold at the moment we don’t actually need a thermostat. Living in a stone house has (for us) meant that we could run the heating permanently and still not feel compelled to remove our jumpers. I also want to tie the logic of switching the heating on and off into a more intelligent system than just using the current temperature, so it’s a job for phase 2. 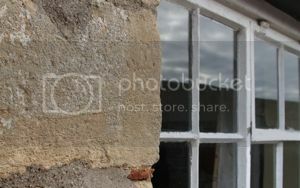 There are a number of ways to break into the central heating system. Because the boiler also services the hot water system I didn’t want to just switch the entire unit on/off, so had to use the thermostat interface of the boiler. There is a handy wireless thermostat fascia for most Worcester boilers, and if you’re lucky enough to have one of those you can fairly simply spoof it, which is a much less invasive way to get into the system. 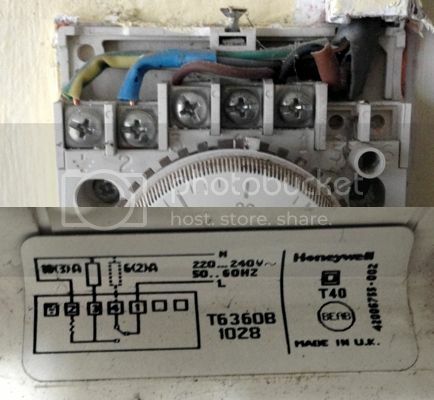 The boiler has a 230V room thermostat connection. I wanted to keep that in the system as a fail-safe. If the clever system dies or becomes self-aware and tries to take over the world we don’t want the pipes to freeze (that would be expensive). Keeping the existing thermostat wired in parallel and turned down to ~5°C means that if it gets that cold the heating will come on regardless. Well, assuming we haven’t run out of gas (again) at least. 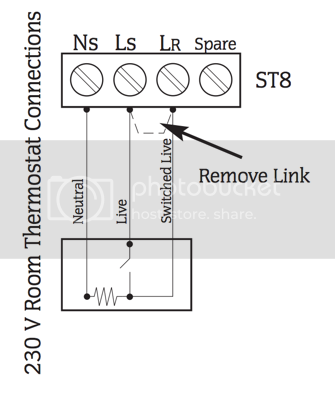 Closing the switch on the thermostat bridges live and switched live. Just because I’m paranoid, I double-checked this with a multimeter before adding anything to the system. Rather than building a complete parallel system, I opted to insert a relay to manually close the circuit between live and switched live, but not yet! If you’ve got a Pi sitting around doing nothing it’s a pretty cheap project. When my components turned up (Ciseco get points for a very fast turnaround) I needed to solder the RTC/temperature sensor cable into the relay board. If you’re doing this “properly” you want to get hold of a 2x13 header pin and solder that onto the expansion holes in the slice of relay, but I was feeling cheap and wanting to get everything up and running. The relay board uses GPIO pins 24 & 25 (as well as the 5V & ground pins). The RTC/temperature sensor runs on 3V3 and ground pins as well as the SDA and SCL pins for i2c communication, so can be safely added on top of the relay. Later this week I’ll be adding the RFM12B Pi expansion board, which will take a bit of rejigging. I’ll post photos once it’s working. Because this unit is likely to suffer from power outages (amusingly we had one just 10 minutes before writing this sentence) I’ve opted to use the Industrial Perennial Environment. It also happened that there’s an emoncms gateway project using IPE (see here for more information). As my intention is to run emoncms to capture historical data from the system as well as from a bunch of environmental and energy sensors, I used the pre-built “rock solid gateway” image as my base. When you’re working with IPE, you just need the commands ipe-ro and ipe-rw, which remount the disk in (unsurprisingly) R/O and R/W mode respectively. Just don’t forget to switch it back once you’re finished editing. I’m assuming the Pi could die at any time, so I don’t keep anything on it I’ve not got stored somewhere else. A simple way to achieve this is to create a Github repository for the directory you’re adding scripts to, but be a little careful about exposing private passwords and API keys to the world. The scripts below are in a repository here. You’ll probably want to tweak the above so your network group/router is right, and add your WPA SSID and pre-shared key. A quick reboot should see the device appear on the wireless network. 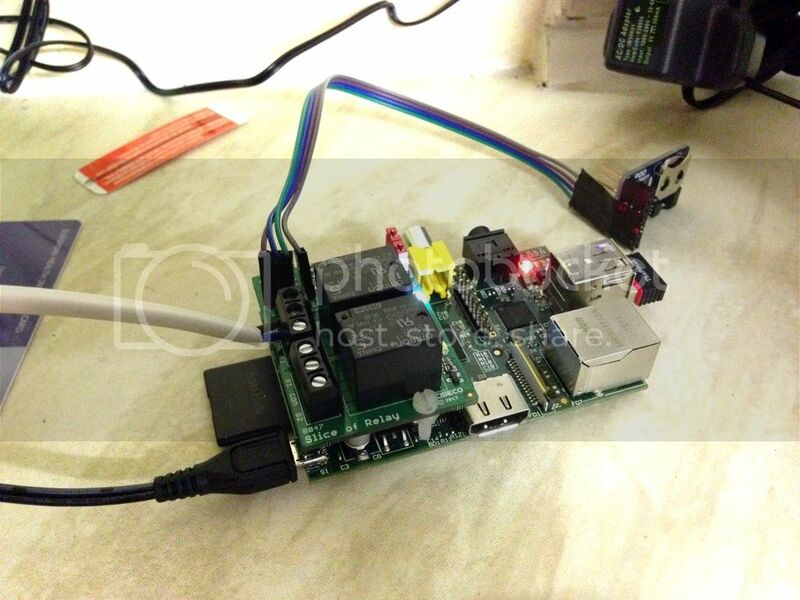 To make use of the GPIO pins on the Raspberry Pi we’ll need the excellent WiringPi library. You can also verify the i2c bus is operational by using i2cdetect -y 0 for revA Pi units or i2cdetect -y 1 for newer revB units. Then we’re ready to have a bit of fun. For the following I created a Github repository which may provide a good starting point. See the source code for a more complete example. And there we have it, a basic central heating control system, but with the potential for so much more. Obviously the scripts above are pretty rough around the edges, but as a proof of concept I’m pretty happy with it. 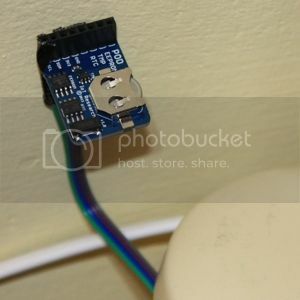 In the photo above I rested the temperature sensor against the wall. Don’t do that normally if you want accurate readings! I realise I haven’t covered the basic web interface yet. I have done it, honest, but this post is already a little long so I’ll talk about that separately. But for now I’m going to light a fire and forget about gas for a bit :). I initially wanted to use NodeJS, so I’ve left those links in just in case I come back to it later.